Is chiropractic only for back pain? Am I a candidate for chiropractic? Please call for our new patient special! Sign-up using the form or call us at 801.907.1894 to take advantage of this exclusive offer. 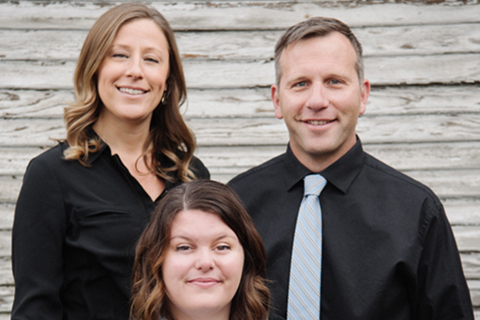 Salt Lake Chiropractic is here to serve all people, from infants to elders. Dr. Suzanne Cronin is devoted to providing gentle, effective and affordable care to Salt Lake City residents. Our patient staff will welcome and guide you through the steps of holistic healing. What are the health benefits to chiropractic care? Helping with lower back pain is just one of many, but the advantages don’t end there. We realize that health is more than just the absence of pain. It’s also about feeling great and the ability to enjoy life to the fullest. We understand that the whole body is connected and the spine is the center of it all. Correcting subluxations relieves spinal stress and increases the health of your entire body, and in turn, improves your quality of life. Dr. Cronin can navigate you through the three general phases of chiropractic care: relief, restorative, and wellness. Whether you have a sore back, an old injury, or you just want to enjoy a well-tuned nervous system, please call 801.907.1894 or stop by soon so you can begin your journey to wellness. We know that health is so much more than just not feeling pain. As defined by the World Health Organization (WHO), HEALTH is "a complete state of physical, mental and social well-being, and not merely the absence of disease or infirmity." Health and healing come from the inside out not in the form of a pill, potion or lotion. Chiropractic is the philosophy, science and art that concerns itself with the restoration of good health from the inside out by restoring and maintaining a properly functioning nerve system without the use of drugs or surgery. If you are new to our website, please feel free to discover and learn about chiropractic healthcare. If you are interested in starting your journey towards better health please subscribe to our award winning newsletter. If you are already a newsletter subscriber, please explore the member wellness section of our website for wellness articles, resources, and health facts---specifically targeted to your wellness needs and interests. To make an appointment today, call us at 801.907.1894! "Dr. Suzanne is very friendly, professional, and knowledgeable. I’ve been especially impressed with how they’ve been able to work around my busy schedule."